Guys, Junk and I have decided to merge with Ryan at Bang The Book to bring you all a better product. There will be a subforum for Junkmansports and the sports forums will be shared by all at the main forum. We will have a new landing page that will direct you to Junk's for sportsbook promotions and other great deals. 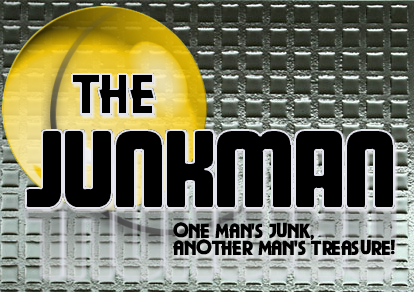 We would like for all members and guests to go to www.Junkmansports.com in the future.............This will bring you our page and a link at the top will bring you to the forums section. Junk and I appreciate all of you for being part of our forum and look forward to seeing you at our new home. I feel this is a good move for everyone concerned which will give us more exposure and connect us to some other good handicapers. Hogan's posting days are over until he can find a place that will be around more than 60 days..when that happens..you know where to find me. I'll take the best SEC info with me at that time. Hoganknows wrote: Hogan's posting days are over until he can find a place that will be around more than 60 days..when that happens..you know where to find me. I'll take the best SEC info with me at that time. This move is for the best Hulkster, way to many "new" forums out there besides the established ones. Foots is right around the corner so a decision of which direction to go had to be made, this is the decision that was made. We were looking at software and server options and this opportunity came up. Hope to see you over there bud! Good Luck to you both ..thanks for the updates(WTF) on JSF and its quick death...try to help JSF and get no respect, Hogan about done with all this posting mess. I'll just wait for the best opportunity. Not a quick death. Junkman Sports is not dead growing. Went from this site which has 37 members to a site that has over 5k. To behonest, your new forum doesn't stand much of a chance,if what I saw is any indication. A bunch of stories taken from other sites is about it. I'll give it a shot. GL.